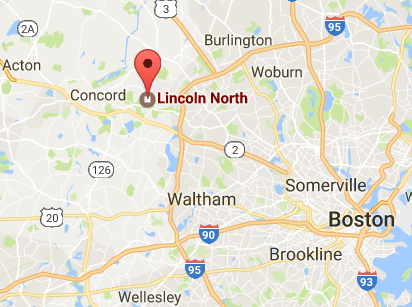 Lincoln North – Cranberry Hill Associates, Inc.
Lincoln North is a Class A office building located across from Hanscom Field about 18 mi northwest of Boston. Dramatic and distinctive design built to impress with glass atrium, elevators, and skylights. Indoor living trees create a unique and calming atmosphere in the open atrium cafeteria. Outdoor patios overlooking Hanscom give easy access to fresh air. Ideal commute for Concord, Bedford, Lincoln, Lexington, Acton, Sudbury, Littleton to avoid 128/95 traffic. Walk onto Minuteman National Park trails. Also now introducing the Hanscom Innovation Center a collaborative office suite solution for your short-term flexible needs!